Tipsy Theatre Reviews ~ The Curious Incident of the Dog in the Night-time! The Curious Incident of the Dog in the Night-time – Sheffield, Lyceum Theatre! One of the many things I love in the world is theatre, although I don’t take part of it half as much as I’d like to, it’s such an incredible art. So, I’ve decided to create Tipsy Theatre reviews, which requires me to write about a show I’ve been to see, whilst enjoying a few glasses of wine, or in this case, Gin and lemonades! By the way, I don’t claim to have any actual theatre knowledge, it’s just something I enjoy and am trying out! Just to warn anyone that would like to see this show, I can’t promise that there’s no spoilers in here!! I was advised to go see this by a friend of mine years ago, after they brought the book (they were not a big reader, so I knew it had to be good!) and I read a few pages before buying my own copy. I have loved the story from the moment I turned through those few pages but seeing it in performance is something on a different level! It follows the story of 15-year-old boy, Christopher Boon, who has Asperger’s Syndrome. 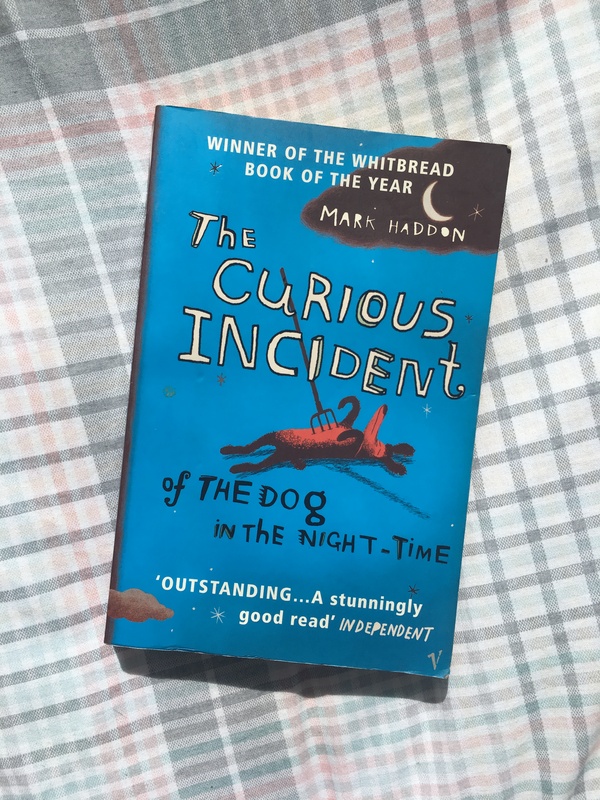 One night he sees a dead dog with a fork sticking out of it and along with his pet rat, Toby, begins to solve the mystery of the Curious Incident of the Dog in the Night-time. Curious Incident is a play written by Simon Stephens, who also writes Punk Rock (PLEASE SEE THIS IF YOU HAVE THE CHANCE!! ), which is probably another reason I was so excited to see the show! Me and my friend, sat in the circle, in the middle of row J (although I’ve been told the best seats are in the middle of row F but they sell out extremely fast) and had a great view of the stage! Especially as they utilise the WHOLE stage. FUN FACT; I can get easily bored, especially when watching films and plays, I can find myself wondering what I’m doing later or that I must book my opticians appointment (which I still have not done) already! That’s how I know a play doesn’t have a great effect on me and with a run time of 2 hours 45 minutes, with a 15-minute interval… I’m not going to lie, I thought I was going to get a bit bored but not once did my mind stray from what I was seeing on the stage! Let’s start with the use of staging and props, which was ingenious as items just appeared and disappeared into various parts of the stage, at one point I had to question where someone pulled a table out from… a whole table! The physical theatre, which is genuinely, very cleverly placed felt almost like a fantasy, paired with the technical aspects, went together so well and made scenes that could have easily been quite mundane, exciting and one scene in particular involves a tube in the London Underground had me on the edge of my seat, with my heart in my mouth. Although the story line has some quite serious parts to it, there’s comedy to be found in every corner, with the headteacher of Christopher’s school providing comic relief by popping up in different scenes, as well as Christopher himself sometimes, along with other characters. Christopher Boon was played by Scott Reid, who you may recognise as Michael Farmer from Line of Duty from earlier this year and at the end of the show received a well-deserved standing ovation for portraying Christopher. Another notable performance came from, David Michaels, who plays Christopher’s dad, as we watch him struggle and try to look after his son. From taking me from curiosity, to heartache, to laughter, to tears and back again, I can’t give the show any justice just by writing about it, so if you have the chance and are available to go see any of the following shows before the run ends, I really urge you to – you will not regret it! Honestly, one of the best and now one of my favourite shows I have ever been to see, if you’ve been interested in theatre before, this will relight your passion for the stage! Previous Things I’ve learnt while being 20! I love that book! I wish the play would come around where I live so I could see it! I wish this was playing in my city so I could see it too! I had heard from a friend that this book is good. But never took the time to buy a copy for myself and read it. Thank you for this review. This is my next book on the list. Thank you for the review. I LOVE finding new good reads! I haven’t heard of this before! Thank you for the thorough review! I loved the book, and a friend recently told me that the show was wonderful! I’ve never heard of this book/show before, but it sounds great. I’m going to have to check it out! I’ve never heard about this book (or show) before. I’ve been wanting to see more shows for a while now – might have to check this out. Thanks for the review Jessie! Amazing show. I’m a drama teacher and took the students to see it a few weeks ago in Sheffield. The set, staging and Frantics choreography were simply stunning! I’m so glad you took your students and I really hope they left feeling really inspired to get into the arts!! ❤️ please keep spreading the love and creativity!! I heard about this book from a friend and after your recommendation I am totally gonna have to get this book. on my summer reading list. thanks for the share. I’m a book-lover, I’ll have to give it a go! I haven’t been to see a play in a while… but I love plays too! I wonder if this has or will ever come to the US! I never heard of the book but it’s pretty neat that they have created a play from the book. Oh, thanks for this review! I was even more pleased to see it’s coming to a theatre near me soon too. Someone was just telling me about this book the other day. Very cool. oh i have this book and still havent read it – i didnt realise it was a show too! I went to a performing arts high school so I definitely appreciate theater. This play/book is a new one for me, might have to add this to a long list of items I need to pick up! Thanks for sharing doll.